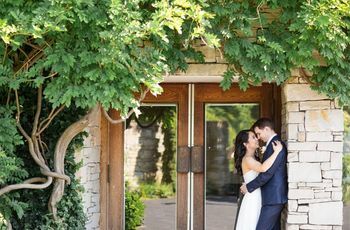 6 Stunning Toronto Theatres Where You Can Tie the Knot | Wedding Ideas ARE YOU A VENDOR? Toronto is a hotbed for arts and culture, so it should come as no surprise that it’s brimming with beautiful theatres. Here are the most wedding worthy of the bunch. On the hunt for your wedding venue? 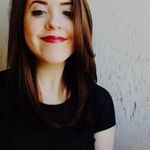 If you and your fiancé(e) are a couple of theatre nerds, or just appreciate a good show now and again, a theatre venue is definitely worth considering. Lucky for you, Toronto has more than a handful to offer. From operating concert halls to decommissioned theatres, you’ve got plenty to choose from (and, good news, they’re all gorgeous). 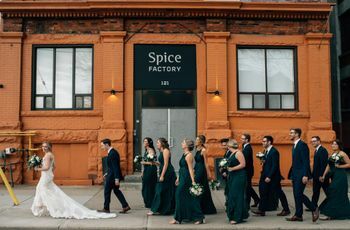 Here are a few stunning Toronto theatres where you can tie the knot. Roy Thomson Hall is one of Toronto’s most beloved theatres. It’s located smack in the middle of the Entertainment District, offering visitors a real taste of the hustle and bustle of the city. The building was designed by award winning architect, Arthur Erickson and is just as beautiful inside as it is out. 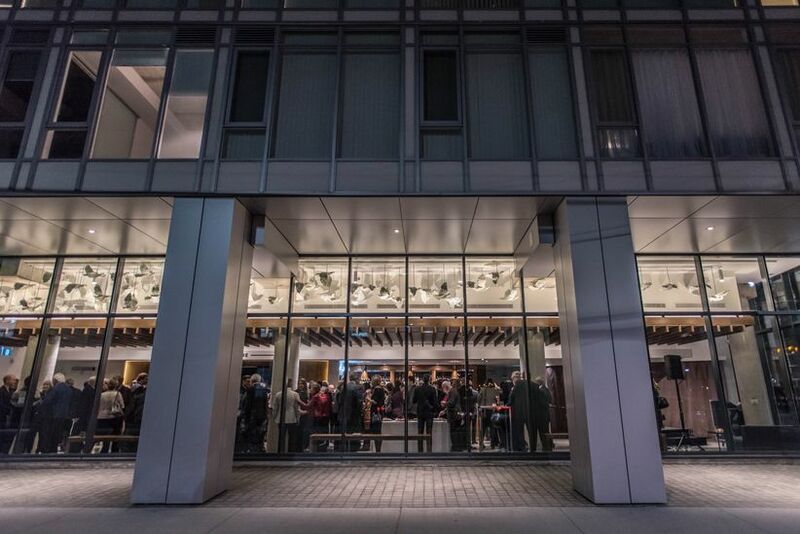 When it comes to event spaces, you’ve got plenty of options - there’s the Auditorium (seats 120 guests), North and South Lobbies (seats 500 guests), Pickering Rom (seats 55 guests), Charles Cutts Green Room (seats 30 guests), North Court Patio (seats 225 guests), Studio (seats 84 guests) and American Express Lounge (can host 60 for a cocktail reception). This theatre may be decommissioned, but that doesn’t take away from its appeal. These days it operates strictly as an event space, hosting private parties, events and weddings. It still has all the trappings of a theatre and is outfitted with art deco decor, mahogany flourishes and plenty of marble. 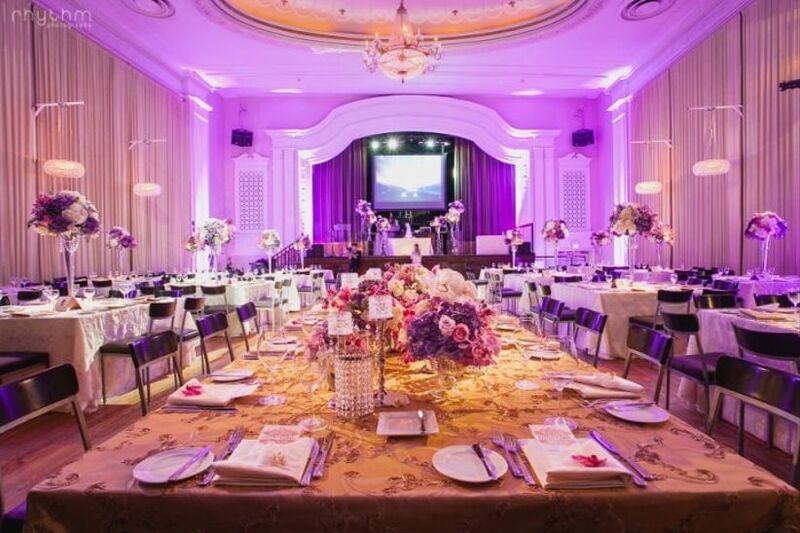 It is equipped with two spaces perfect for weddings: The Gallery (capacity of 220 people) and The Grand Ballroom (capacity of 550 guests). You’ll also have access to a spacious bridal suite, so you won’t have to worry about booking a hotel room for getting ready. So far as theatres are concerned, Streetcar Crowsnest is one of the new kids on the block. 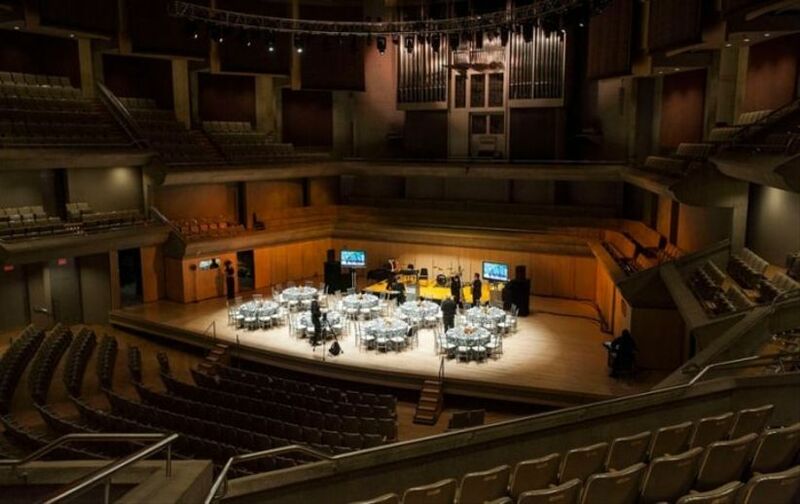 The venue may not have a storied past like Roy Thomson Hall, but that doesn’t take away from its appeal. 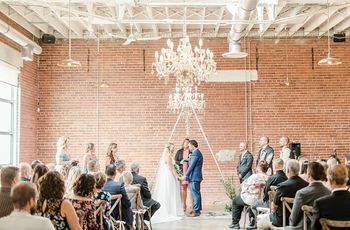 Inside you’ll find three event spaces with high ceilings, exposed brick walls and enough space to comfortably fit all your nearest and dearest (a rarity in the east end). 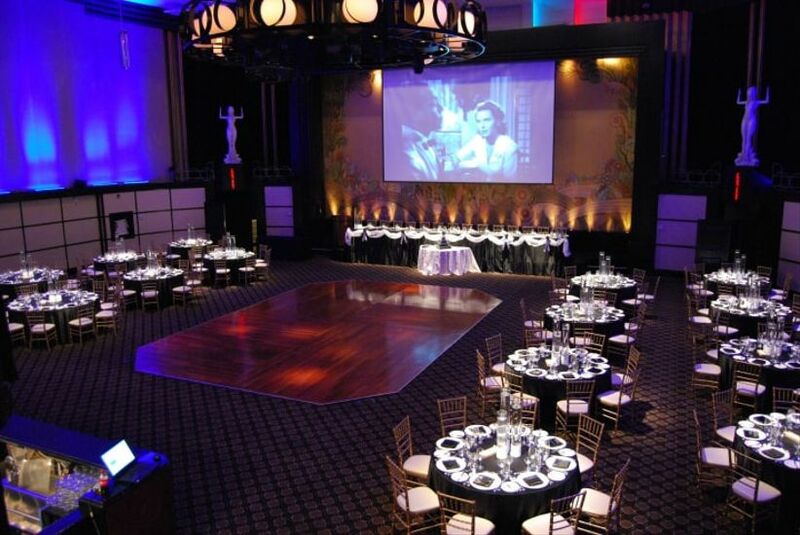 Together, its three event rooms (the Guloien Theatre, Lobby Bar and Scotiabank Community Studio) can accommodate up to 450 guests for a cocktail style reception. 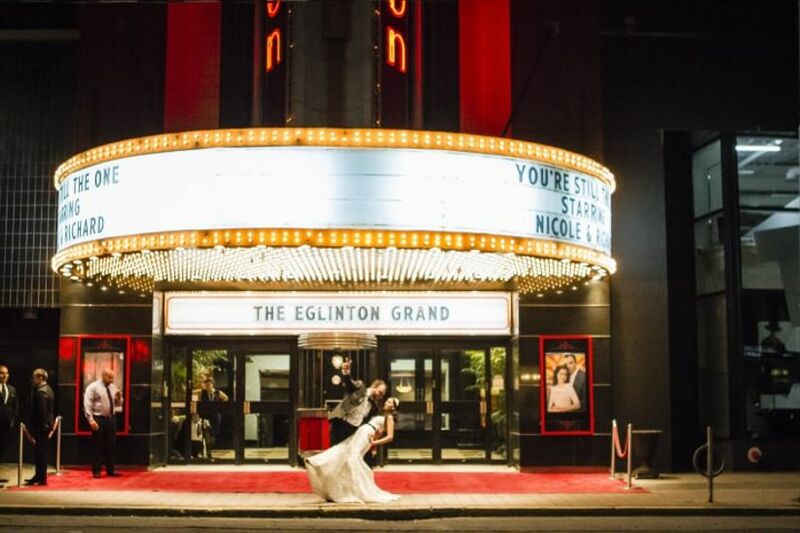 Like The Eglinton Grand, you won’t find any plays or films on show here, but you will be treated to a beautiful space worthy of your wedding. The theatre was built in 1918 and maintains its original vaudeville-style interior (with some necessary updates, of course). 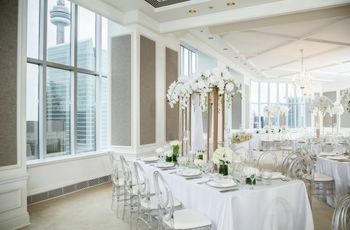 It has four options for events: the entire venue (accommodates 650 for a cocktail reception), the main floor (accommodates 500 for a cocktail reception), the mezzanine (accommodates 250 for a cocktail reception), the main level (accommodates 220 seated). This Front Street theatre is a favourite for everything from comedy shows to concerts. If event rooms aren’t your thing, you can host your wedding on the main stage and say you “I dos” right where famous artists have spoken and sung. It has seven event-worthy spaces up for grabs, with the largest (the Theatre) boasting room for over 3000 guests. Bonus: It’s just a hop, skip and a jump away from many trendy King Street restaurants and bars, so you’ll have no problem finding a rehearsal dinner spot or after party waterhole nearby. The Distillery District has no shortage of stunning event spaces, and this theatre is one of them. It’s got all the charm of an old-fashioned loft, flaunting worn exposed brick and beautiful beamed ceilings. There are several mid-sized rooms available for rental - the Kevin and Roger Garland Cabaret (seats 60), RBC studio (seats 60), TD studio (seats 60), Studio 2 (seats 84) and Sandra Faire and Ivan Fecan Atrium (seats 80) - making it perfect for ceremonies and receptions that err on the more intimate side.